The Kentucky Derby is Decadent and Depraved is the title of an article written by Hunter S. Thompson that first appeared in the June edition of Scanlan's Monthly in 1970. 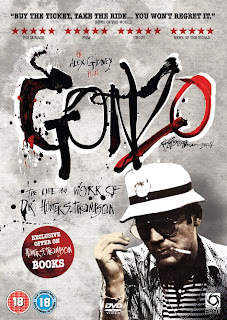 It is a classic piece and was considered to be the birth of "Gonzo Journalism." The article was not as much about the horse race as it was capturing the mood of the event, and its place in the world news and American society at that point in time. The article remains as relevant today as it was forty years ago. 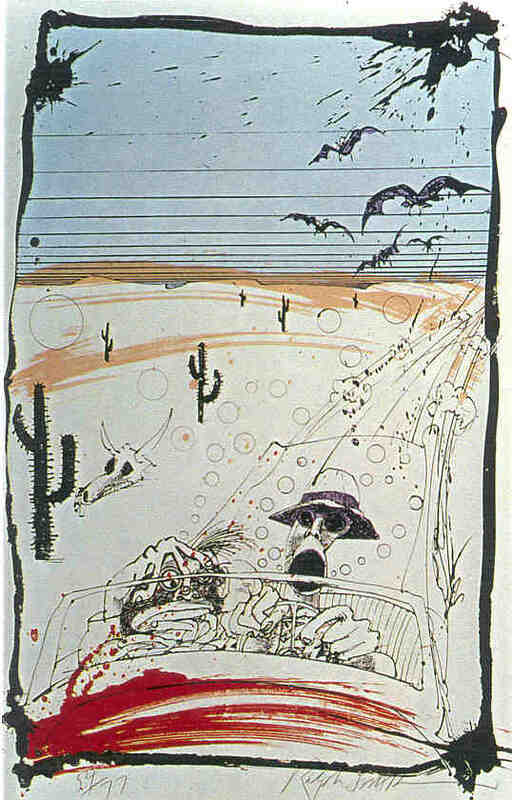 The classic book, "Fear and Loathing in Las Vegas" was the first widespread publication in gonzo style but this article preceded it by a couple of years and brought together Thompson and British artist Ralph Steadman for the first time. 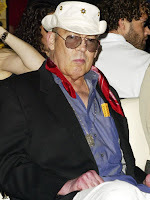 Johnny Depp's portrayal of Thompson in the movie version of Fear and Loathing in 1998 was stunning Depp's ability to capture the essence of the book. The movie, Buy The Ticket, Take The Ride was done after Thompson's death and is a good look back at his persona with those who knew him best, speaking about their friendship with Hunter. I met Thompson briefly in early 1974 when he spoke at Peabody College in Nashville. 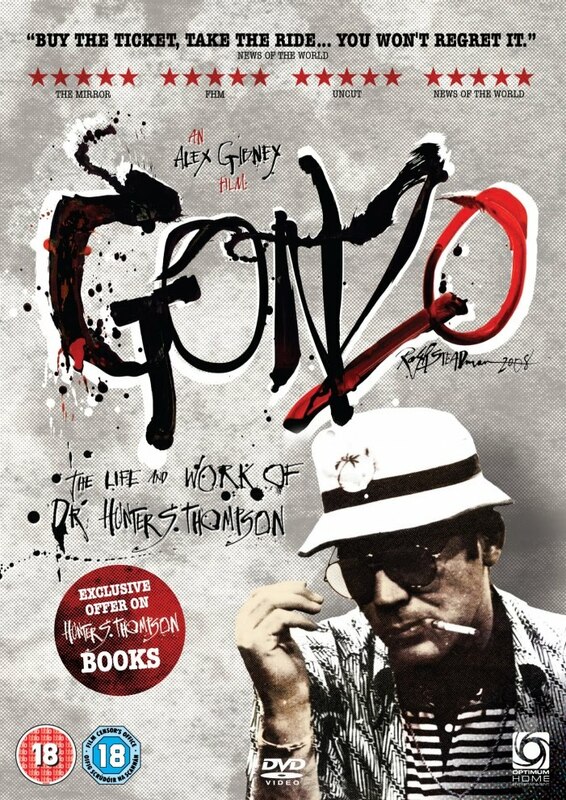 He was well into his gonzo persona that evening and was fairly incoherent. Thompson has long been my favorite writer due to the interesting slant that he put on every topic. I remember getting news of his suicidal death as if happened yesterday. I was sitting in the breakfast room at the La Quinta in Sedona, Arizona reading the newspaper and was basically rendered speechless. It was almost as if a family member had died. In tribute to Hunter, Here is the complete text of the original article. It is widely available on the internet but this version came from here. down collars. "Mayblossom Senility" (Steadman's phrase)...burnt out early or maybe just not much to burn in the first place. Not much energy in the faces, not much curiosity. Suffering in silence, nowhere to go after thirty in this life, just hang on and humor the children. Let the young enjoy themselves while they can. Why not? As the Predator's post season presser wore down yesterday, I asked Barry Trotz to follow up on some comments he made on NHL Live on Wednesday about the "young leadership group" and Jason Arnott as Captain. The Tennessean's John Glennon picked up on the discussion immediately and has a post today that provides the complete transcript of Trotz's answer. To see the visual of the Question and Answer, look at the following clip beginning at 2:22. Read John's post for his thoughts but here is the transcript of Trotz's answer pulled from the Tennessean. ``When we had the team that got tur­ned over a little bit (in 2007) and had a lot of young pla­yers and a cou­ple of older guys, Jason was the guy who had the big voice in the room and felt that he could take up that lea­dership role. It pro­bably wasn’t exactly something that … It doesn’t come natu­rally to him. But he’s grown in that area and wor­ked hard at doing the right things more often, and the last two years he’s done a decent job. ``Some guys … I’ve tal­ked with Steve Yzer­man with Team Canada, and when he was made cap­tain at Detroit, he was uncom­for­ta­ble for a num­ber of years. It takes time. It’s something that … There are very few guys that you can just say, `Hey, put a C on and you’re the cap­tain.’ Some guys are com­for­ta­ble with it. Jason, I would say, has become fairly com­for­ta­ble with it. But at the same time, there are still areas that … Every cap­tain or lea­der leads in cer­tain ways. You talk to peo­ple in Detroit and they say Nick Lids­trom leads on the ice. When he does talk, every­body is lis­te­ning. So every­body leads in their own way and you have to be com­for­ta­ble with it. It does appear that the groundwork may be in the process of being laid for a move to home-grown leadership at some point in the future. Yesterday's post season press conference with David Poile and Barry Trotz was a good statement about the pair's thoughts on the past season and what they are thinking moving forward through the summer and into next year. The following three sets of videos are lengthy (about 40 min total) but are worth watching if you are a fan to look for any nuances or intonations that you may see as the two talk. Last night's game between the Wings and Sharks got the second round off to a quick start. It is great that there was no break between the first and second round. The Wings fell behind 3-0 but came back and kept it a one goal game for a large part of the game before losing 4-3. Montreal visits Pittsburgh tonight at 6:00 CDT on Versus to get the Eastern Conference match started. It will be interesting to see if Montreal's success will carry over or if they will be tired from the first round. We had stories yesterday about the Wade Belak signing and about the OHL naming Ryan Ellis and Taylor Beck to their second team all-stars. John Glennon has a good deal of information from yesterday's press conference. Bryan Mullen also discussed the issue with the special teams. David Boclair focuses on Dan Ellis' desire to test the free agent market in order to get a number one goalie slot. Mark Willoughby has his weekly My View posting with several hot topics from the non-hockey world. From @predsradio: This just in: Joel Ward will throw out the first pitch at the Nashville Sounds game on Friday night. I'm not quite ready to make the jump to the Sounds just yet. With the sad news of the end of Ads Short Shifts comes a best of piece. I was a guest during the second half of the RLD Radio show yesterday alonge with Ryan, Anthony Curotolo and Chris Wassel discussing the second round of the playoffs. The first half houre is a good conversation with Craig Custance. Mark at the View from 111 had the same number of correct picks in the first round as I did. I feel better now. He also has his second round picks which match mine. Not good. Kelly at Preds Fanantic hates Chicago even more than she used to. Paul McCann reviews his first round picks. Josh C at Bleacher Report has a case for Dan Hamhuis moving on. Defending Big D covets Dan Hamhuis. The Hart Trophy finalists were revealed on Thursday with no surprizes. Sidney Crosby, Henrik Sedin and Alexander Ovechkin were revealed as the top three. Many wanted to see a goalie involved but it did not happen. PHT gets the ball rolling with a summer long series of Ovechkin bashing. After the Russian debacle at the Olympics and the lack of heart in the series against Montreal, there is definitely a fire to throw gas on as to Ovie's status as the "worlds greatest player." I'm learning to appreciate Sidney Crosby more and more as time goes on. I actually found someone with worse first round picks than me. Thanks to PHT's Brandon Worley for making me feel better. VFMS has a preview of the Nuck-Hawks series with a face off between @mozy19 and @hawksnut. Ted Leonsis congratulates the Habs at Ted's Take. This is a very nice gesture that had to be hard for him to write. I'm not sure this Team USA is going to be very competitive at the World Championships. It looks like lots of folks skipping it after the Olympics. Here's a great story about Brooks Laich changing a stranger's tire after the Cap's game seven loss. From the Rink has a two part round-table story about hockey women. Several ladies we know participated. Here's Part one and Part two. A rarity from @bigpapicp: Each seed is represented in the Stanley Cup quarters: SJ (1), Chi (2), Van (3), Pgh (4), Det (5), Bos (6), Pha (7), Mtl (8). Intent to Blow had a really off piece about Ryan Miller's knitting. For some reason, they have a following among knitters per their analytics. Maybe this will bring the knitters into the light of day. They also have a post about the Coyotes name change to a a person who's name I will never mention in this space. Chris Nadeau has the lead in The Hockey Zen's chicken dinner race. Here is a horribly sad story from Adrian Dater about his dog that was attacked in his yard. Our condolences to the Dater family. Here's a great video produced by the NHL for the Winter Classic featuring clips of the Boston - Philadelphia rivalry with tht music of the Dropkick Murphys. This seems like a neat BB app even though it has a fee involved. It will convert business cards to a contact entry for 10 cents per card. Sports By Brooks has an incredible story about the number of affairs Tiger Woods was involved in. I frankly don't care about Tiger one way or the other but I am amazed at the coverage of this. The Ontario Hockey League named Pred's Prospects Ryan Ellis and Taylor Beck to the leagues post-season all-star team today. Ellis was a first team selection last season but his numbers are down a bit this season. He was the first pick for the Preds in last summer's entry draft. He had 12 goals and 49 assists in 48 games and was an impressive +39 for the season. His Windsor Spitfires are currently in the OHL finals against the Barrie Colts and hoping to return to the Memorial Cup for a repeat of last year's championship. In 16 playoff games, Ellis has 3 goals and 25 assists. Beck is a 19 year old right winger for the Guelph Storm who had 39 goals and 54 assists in 61 games during the regular season. He added 3 goals and 3 assists in five playoff games. Toronto, ON – The Ontario Hockey League today announced the All-Star teams for the 2009-10 OHL regular season. The Bobby Orr Trophy winners the Barrie Colts lead the way with four players represented along with Head Coach Marty Williamson who was named coach of the third team. Bryan Cameron is listed on the first team at right wing for the second straight year, with defenceman and runner-up for the Max Kaminsky Trophy Nick Crawford also appearing on the first team. Luke Pither is a third team centre, and defenceman Alex Pietrangelo was named a third team all-star for the fourth straight season. The Wayne Gretzky Trophy winners the Windsor Spitfires along with the Mississauga St. Michael’s Majors are each represented three times. Taylor Hall was named a first team left winger for the second straight season, with Ryan Ellis named to the second team at defence, and Greg Nemisz appears on the third team at right wing. Ellis was named to the first team last year, and Nemisz was a second team all-star last season. For the Majors, the OHL’s Goaltender of the Year Chris Carrozzi was named to the first team, with defenceman Cameron Gaunce named to the second team for the second straight season. Head Coach Dave Cameron is also on the second team. Joining Hall, Cameron, Crawford, and Carrozzi on the first all-star team is Red Tilson Trophy Winner Tyler Seguin of the Plymouth Whalers at centre, Max Kaminsky Trophy winner Jacob Muzzin of the Sault Ste. Marie Greyhounds on defence, and winner of the Matt Leyden Trophy as OHL Coach of the Year Dale Hunter of the London Knights. The OHL All-Star Teams were selected by the OHL’s General Managers. Players were voted on by position and received five points for a first place vote, three for a second place vote, and one for a third. Wade Belak was re-signed by the Preds for next season. This was announced at the afternoon post-season presser at the Bridgestone Arena. This was probably not the move that Predator fans were holding their breath waiting to hear but each move puts one more piece of the puzzle together for the 2010-2011 season. Comments on Twitter seem mixed with the announcement but It is a good deal for Wade and the Preds. The bottom line is that the Preds need an enforcer and the price for Belak is right. He also brings a lot to the dressing room, the community, and the TV broadcasts. Hopefully, he will do another night at Zanies too since I missed the first one. I know that I have complained about the nature of the fights that Belak has participated in during the season but that is more commentary on heavyweight bouts between enforcers that Belak specifically. So as long as an enforcer is still a part of the NHL, this move makes sense. Nashville, Tenn. (April 29, 2010) – Nashville Predators President of Hockey Operations/General Manager David Poile announced today that the club has signed forward Wade Belak to a one-year, $575,000 contract. Belak, 33 (7/3/76), suited up for 39 Predators games in 2009-10, posting a pair of assists and 58 penalty minutes. Since being acquired on American Thanksgiving 2008, the Saskatoon, Sask., has racked up four assists and 112 penalty minutes in 77 games with Nashville. Quebec’s first choice (12th overall) in the 1994 NHL Entry Draft, Belak has played in 534 career NHL games for five teams (Colorado, Calgary, Toronto, Florida and Nashville) since 1996-97, notching 33 points (8g-25a) and 1,245 penalty minutes. The 6-5, 222-pounder also co-hosts the Blackstone Hockey Night radio show on 104.5 The Zone during the season, and has also gained popularity for his “Wade’s World” segment on Nashville’s FOX Sports Tennessee broadcasts. After looking back at our first round predictions, I'm not real sure why we continue to embarrass ourselves with comments and prognostications of future events. Pittsburgh was my only correct pick in the first round games in the East, while in the West I only got Vancouver and San Jose correct giving me a stellar 3-5 record. Jackson did slightly better going 4-4 since he had the benefit of picking Boston as a winner in the East and matching my other picks. So with that in mind, for better or worse, here are our picks for the second round. (4) Pittsburgh Penguins vs (8) Montreal Canadians - Montreal was the surprise team of the first round. You have to wonder if their win was more of them being solid or Washington playing a marginal game as a result of clinching early. The Pens played well enough to win but did not really dazzle anyone in the first round. I am going to have to go with the deeper team that has the recent playoff success in a long hard fought series. Pittsburgh in seven. (6) Boston Bruins vs (7) Philadelphia Flyers – This is a hard series to figure since both teams did not get into the playoffs until the last weekend of the season. They also each upset much better teams in round one for totally different reasons. The interesting thing is that no matter who wins, there will be a Cinderella team in the Eastern Conference finals. I may be wrong, but I'm going to go with superior goaltending and take the Bruins. If Boucher continues his playoff magic, I will be wrong again. Boston in seven. (1) San Jose Sharks vs (5) Detroit Red Wings – Detroit toyed with Phoenix for six games before they actually showed up and became the Wings that everyone loves to hate in their game seven demolition of the Coyotes. San Jose did break their curse and got out of the first round against a fairly weak Colorado team. The Wings are hitting their stride and will finish off the Sharks in a short series, posibly winning the first two games in San Jose this weekend. Detroit in five. (2) Chicago Blackhawks vs (3) Vancouver Canucks – The Predators stood toe to to with the Hawks up until the last 14 seconds of game five when Chicago proved themselves to be a team of destiny. Vancouver played well in the first round in disposing of a quality L.A. Kings team that will be in the playoffs for years to come. This series features the two most high powered offenses left in the playoffs. It will be a long series where home ice advantage will reign. Blackhawks in seven. (4) Pittsburgh Penguins vs (8) Montreal Canadiens - As I’m sure everyone is now aware of, Montreal is not to be taken lightly. Montreal played a strong, solid, tight game in the first round and if they can continue that, they just might come out with another upset in this series. I’m not sold on that idea though. Pittsburgh has another deep team that can make it to the finals again. Pittsburgh in six. (6) Boston Bruins vs (7) Philadelphia Flyers – How often do you see the sixth and seventh seed meet up in the second round? This will be a very physical series for both teams, a lot of hitting and just all around gritty play. I took Boston to upset the Sabres in the first round and I’m not going to stop in the semis. Boston in six. (1) San Jose Sharks vs (5) Detroit Red Wings – Detroit showed everyone, again, why they are one of the most dominant teams in hockey today coming off their game seven win in Phoenix. But San Jose showed that weren’t messing around either. Of course, it is tradition for them to screw up right about now, but I’m not seeing it this year. I’m going to go out on a limb and say that Joe Thornton is going to have the biggest series of his career so far, this series. San Jose in six. (2) Chicago Blackhawks vs (3) Vancouver Canucks – After struggling a bit during the first round, the Hawks got their playoff legs back and are back in business. But the Canucks aren’t going out easily. This is the match up the players in Vancouver wanted. The Canucks want revenge and that’s what they’re going to get. Canucks in six. So there you go. You may want to head to Vegas and go the other way. Thursday was a big day in Pred Land. Barry Trotz finally got the recognition that he deserved for guiding the Predators to their success over the last 12 years with a nomination as one of the three finalists for the Jack Adams Award that will be given on June 23 at the Pearl Theater at The Palms in Las Vegas. The Predator's players showed up at the Bridgestone Arena last night for final meetings and locker clean out. 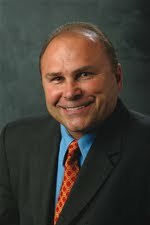 Barry Trotz appeared to be in good spirits as he received congratulations from all on the award nomination. As the players prepared to head out for the summer they were available for questions. We took a little different approach and asked some questions that fans might find interesting. We will publish a series of videos over the next few days that we hope you find enjoyable. The first video is about their plans for summer vacation. Jerred Smithson, Dustin Boyd, Cal O'Reilly, Nick Spaling, Marty Erat, Dan Ellis, Marcel Goc, Cody Franson, Pekka Rinne, Ryan Suter, Shea Weber and Steve Sullivan speak. Another topic of conversation was about a few of the Predators playing in the World Championships that start on May 7 and run through the 23 at several sites in Germany. Though not officially announced Pekka Rinne will play for Finland, Denis Grebeshkov will play for Russia, and Marcel Goc, Alexander Sulzer, and Robert Dietrich will play for Germany. Marty Erat said that he was undecided and waiting on results from his post season physical exam before making a decision to play. Dan Hamhuis rejected Team Canada's invitation to participate. Here are a few comments about the upcoming tournament. Marcel Goc, Marty Erat, Pekka Rinne, and Shea Weber speak. In somewhat of a surprise move, the second round series between the Detroit Red Wings and San Jose Sharks will begin tonight at the HP Pavilion (Versus 8:00 CDT). Game two in the series will not be until Sunday due to a conflict with concerts by The Eagles on Friday and Saturday nights. The complete second round schedule was announced last night after the Caps-Habs game. Montreal will have little time off as they will play at Pittsburgh on Friday night. On Saturday, Philadelphia will travel to Boston for the 11:30 CDT NBC game while Vancouver will open in Chicago in the nightcap. Jackson and I will look at our first round results and make our picks for the second round later today. John Glennon has notes from last night's locker clean out that includes Dan Hamhuis being nominated for the King Clancy Award which is given for outstanding contributions to the community. He also had a discussion with J P Dumont on his lack of playing time this season. Jim Diamond goes into more detail about Patric Hornqvist's broken hand that was kept under a veil of secrecy for the last two weeks. David Boclair also discusses injuries down the stretch that are just now coming to light. Mark Willoughby looks back at what could have been for the Preds this season and also looks at Barry Trotz's Jack Adams nomination. Forechecker has the top ten moments of this year's Predator season. He also has more detail about Dan Hamhuis' King Clancy nomination. Jeremy at Section 303 discusses the Barry Trotz nomination for the Jack Adams award. Paul McCann had the first leak of the Barry Trotz as a Jack Adams nominee along with a few season ending thoughts. Horrible news out of Milwaukee... Our friends at Short Shifts are retiring from blogging the Admirals. Best wishes to Eric and Ryan who have been good friends of POTG. From @dchesnokov: Predators' Martin Erat will play for Czech Republic in this year's Worlds. Hanzal, Vrbata, Prucha & Michalek also invited. Rachel Addison has put together a playlist of songs heard at Predator games to help you make it through the long off season. I'm sure she would be happy to take further suggestions. The NHL and IIHF have come together for the Molson Canadian World Hockey Summit which will be held in Toronto August 23 to 26. International competition and transfer agreements will be discussed among a variety of topics. BD Gallof has more on the Casino idea on the Island. Nashville's Amy Dawson is featured in a story at Hockey Independent on female hockey fans. ESPN is doing a poll on hockey. Go here to rep your team. Matt Reitz has an analysis of past President's Trophy winners to try to find evidence of a curse. He way want to ask the Caps about it if he needs more evidence. Intent To Blow has the story of Roberto Luongo being tired of getting Booed by the home crowd. Stay Classy also has a humorous piece with the NHL yearbook. I found a new BB app that is really cool and does sever things well even in the backwoods of Tennessee. It is called Poynt and can be found at the BB App World. In a single app you can find people, businesses, restaurants, movies, and the lowest gas prices. It's a location based app so whatever category you choose, the results will be the places in your area no matter what city you are in. Even folks in Tennessee don't know what to do with these cow parts. Hell froze over and I missed it. The Boy Scouts are now giving a video game badge. The National Hockey League announced the complete second round schedule for this year's Stanley Cup playoffs after the Habs-Caps game was decided. The conference semifinals will begin Thursday, April 29, with the Sharks and Red Wings starting things off in San Jose. The Penguins will play the Canadiens Friday. The matchup was determined after Montreal's 2-1 Game 7 win over Washington on Wednesday. The final two series begin Saturday when the Philadelphia Flyers travel to Boston and the Blackhawks host the Canucks. The only coach that the Nashville Predators have ever known finally has been recognized for 12 years of pulling rabbits out of his hat to consistently exceed everyone's expectations with the limited talent that he has had on a yearly basis. Trotz is one of three finalists for the Jack Adams Award given to the coach who has "contributed the most to his team's success." Dave Tippett of Phoenix and Joe Sacco of Colorado also received nominations. 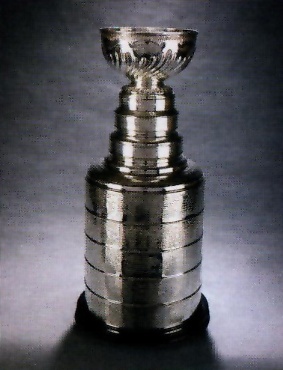 The winner will be announced June 23 at the NHL Awards show at the Palms in Las Vegas. Trotz has been deserving of consideration for several years. Even with Pred’s recent playoff loss, it should be satisfying for Trotz, the organization, and the fans to see Barry on the national stage as a top three coach. Speaking on NHL Live today after the announcement, Trotz said, "I was a little surprised by the nomination. All three finalists have great assistants and staffs." Trotz commented on the series with Chicago, he said "This team had the mindset for an upset. Our team has matured and had the ability to go further. Our young leadership group matured and is ready to move forward. Shea Weber, Ryan Suter, Pekka Rinne, they were all key"
Trotz discussed the issues with the Predator’s power play, "We were stubborn in making changes. On the power play you have four portals of opportunity and we did not execute on them." On Pekka Rinne, "Pekka is emerging into a top end goaltender. His being able to recover from situations has really been key. In game five and in game six with the odd goal he was able to come back and in the past, he may not have been able to." On Jason Arnott as captain, " Jason has matured and done a good job but still has some areas that he needs to work on as anyone would in a situation that he's not completely comfortable with." Looking to off season changes, Trotz listed keeping Dan Hamhuis, improvement on face offs, and finding additional offense as key goals. When asked who would be the eventual cup winner, Trotz would not commit to a specific team but said that the winner would come from the west. NEW YORK (April 28, 2010) -- Joe Sacco of the Colorado Avalanche, Dave Tippett of the Phoenix Coyotes and Barry Trotz of the Nashville Predators are the three finalists for the 2009-10 Jack Adams Award, presented to the head coach who has "contributed the most to his team's success," the National Hockey League announced today. Members of the NHL Broadcasters' Association submitted ballots for the Jack Adams Award at the conclusion of the regular season, with the top three vote-getters designated as finalists. The winner will be announced Wednesday, June 23, during the 2010 NHL Awards that will be broadcast live from the Pearl Concert Theater inside the Palms Hotel Las Vegas on VERSUS in the United States and on CBC in Canada. In his first NHL season behind the bench, Sacco guided the rookie-laden Avalanche to a berth in the Stanley Cup Playoffs with a 43-30-9 record just one year after the club finished last in the Western Conference. The Avalanche became the first Western Conference team to make the playoffs after finishing last in the conference the previous year since the current alignment was introduced in 2000-01. The club opened the season on a 10-1-2 run and went on to post a 26-point gain over its total from 2008-09 (69 to 95), second in the NHL to the Phoenix Coyotes' 28-point increase. Hired less than a week before the start of the regular season, Tippett led the Coyotes to the Stanley Cup Playoffs for the first time since 2002 by posting a 50-27-5 record for 107 points. The club posted an NHL-best 28-point gain over its 2008-09 total, edging Colorado's 26-point improvement, and set franchise records for wins and points in a season, home wins (29) and longest home winning streak (10 games, Nov. 21 to Dec. 29). The Coyotes ranked third in the NHL in team defense (2.39 goals/game), up from 24th in 2008-09 (3.04), and were sixth in the League in penalty killing (84.5%). Trotz guided the Predators to the Stanley Cup Playoffs for the fifth time in the past six seasons with a 47-29-6 record for 100 points, placing third behind 2009 Western Conference Finalists Chicago Blackhawks and Detroit Red Wings in the tough Central Division. The club played its best hockey down the stretch, posting the NHL's fourth-best record after the Olympic break (14-6-1). Trotz coached his 900th NHL game, all with Nashville, on Apr. 3 at Detroit, joining Al Arbour (N.Y. Islanders), Billy Reay (Chicago), Lindy Ruff (Buffalo), Jack Adams (Detroit) and Toe Blake (Montreal) as the only coaches to reach the milestone with one team. Thanks to Conor McKenna at The Team 990 in Montreal for having me on The Playoff Push again last night to wrap up the Preds-Hawks series. The Detroit Red Wings rolled over the Phoenix Coyotes 6-1 in game seven at Jobbing.com Arena last night in Glendale. That put an end to the Yote's unbelievable run this year that was movie script worth material. Even thought the Coyotes were the higher seed, they had underdog status against the long mighty Red Wings. After toying with Phoenix for six games, the Detroit team that everyone expected to see showed up and played an almost perfect road game. Congrats to all our Coyote friends for a great season and condolences on the playoff loss. The Wing's victory sets up a second round match with San Jose which will be a very competitive series. Chicago and Vancouver will meet in the other Western Conference simi-final in a renewal of last year's bloody battle. Montreal has held Washington at bay all the way up to game seven which happens tonight at 6:00 CDT on Versus. Fans in Pittsburgh and Boston are pulling for the Caps in order to set up a second round match between the Pens and Bruins which should have plenty of bad blood with the return of Marc Savard. The Eastern Conference second round matches will not be determined until this game is decided. Boston, Philadelphia and Pittsburgh are waiting for news of their opponent as well as to when the series will begin. John Glennon has an analysis of what may happen in the offseason at the Tennessean. David Climer beats the drum about the Preds needing more offense. Jim Diamond has the story of Shea Weber being honored by his peers in a poll at SI. David Boclair looks at Jason Arnott and the other playoff no shows. Ryan Lambert does the Pred's eulogy for Puck Daddy. I took it as a tongue in cheek piece that did a good job of covering every stereotype possible about hockey in Nashville. There's no point in being upset as he was preaching what the Canadian choir wanted to hear. Jeremy at Section 303 took exception to Lambert's story and fired off a rebuttal. Here's another rebuttal from @cragcoolsprings a guy from Calgary calling Nashville a hick town is like a baptist calling a Mormon uptight. Patton Fuqua also jumps in at Section 303 with a toast to the Preds. Forechecker didn't let the dirt settle on the grave before jumping in to free agency questions. Dirk also reports that he well rested Denis Gerbeshkov will play for Russia in the World Championships next month. Mike Chen interviews Dirk in a much nicer Post Mortem of the Preds season at From the Rink. Paul McCann wraps up the season at Hockey Buzz. Paul's Slapshot Radio will continue onward in the ususal Wednesday night slot as the playoffs continue. Teresa Walker puts a bow on the Pred's season at USA Today. The finalist for the NHL Foundation Player award were announced on Tuesday. Either Dustin Brown, Mike Green or Ryan Miller will be on stage at the NHL Awards in June accepting the award that goes to the player that "embodies the core values of the NHL -- commitment, perseverance and teamwork -- to enrich the lives of people in his community". Here's a new twist in the Lighthouse Project saga with a potential casino deal with the Shinnecock Nation (not related to Pred Nation). Habs prospect P K Subban played in his first NHL playoff game on Monday. It was a wild day for the rookie. Steve Lapore analyzes the realities of success by the Habs and Yotes for the TV mavens. he also has the latest on the new HBO movie, Broad Street Bullies which premieres on May 4. From @reporterchris: As rumored for a while, it looks like the NHLPA's MVP award will be renamed after Ted Lindsay. From the Rink has a piece on the Worst Hockey Fans in Canada. It's probably not who you would expect. More recognition for our friends at @IntentToBlow: We got linked by the BBC! Ok well their user forums. But screw it. Intent to Blow - as seen on the BBC. For those of you on Foresquare, have you ever wondered how many badges there are and what they look like? Here is what is supposed to be a complete listing with pictures of each including the new WSJ specialty badges. Did you know there was a "secret" language in social media so parents won't understand what their kids are saying? This is a really lame article. Another season of Predator hockey has come to an end and we are left to wonder "what if" several things had happened differently along the way. That will be a story for another day. At this point I would like to thank several folks that have been instrumental in growing POTG during the past season. Thanks to Kevin Wilson and Tim Darling and the Predators for taking a chance and giving us full credentials so that we can bring you, the readers, a look at the Preds from the inner sanctum of the Bridgestone Arena. We would also like to than the Predator's coaches and players for giving 100% and being "resilient" and overachieving throughout the year. You kept it interesting every day. Most of all, we would like to thank our readers and listeners for making it all worthwhile to do what we do. We do it for the love of the game and we appreciate all the encouraging words, Tweets, and fellowship at the games. If it wasn't for y'all it would be like a tree falling in a people-less forest. I'm sure there are others I should have thanked so please forgive me in my sleep deprived state if I have a glaring omission. 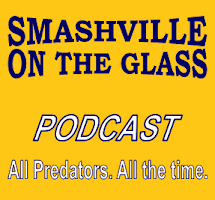 Stay with us during the off season and we will report in daily with the latest Predator news, Playoff coverage, and other stuff from the world of hockey. Our POTG Radio show will return to our regular schedule with interesting hockey related guests from all across North America. In June, we will attend the NHL Awards and Entry Draft and will have first hand reports for your enjoyment and edification. I will return to Montreal's Team 990 tonight at 9:25 CDT for a segment to put the wraps on the Pred's postseason. Thanks to Connor McKenna for another opportunity to rep the "non-traditional market" to the Montreal hockey Mecca. Here is our game story from last night with postgame interviews. John Glennon has the game story, notes column and postgame ponderings at the Tennessean. Bryan Mullen also has a story. Joe Biddle made a rare appearance in the Pred's dressing room and filed this account. Jim Diamond reports for the Examiner. David Boclair checks in with his game story at The City Paper. In the blog world posts come from Brandon Felder, The View From 111, Forechecker, See Puck City, What the Puck, and Fanhouse. Btandon Worley reviews the freak play that will be remembered as the poster child for game six. The Chicago view of the game can be found at the Chicago Sun Times, Daily Herald, and the Chicago Tribune. The Buffalo Sabres season also came to an abrupt end at the hands of the Boston Bruins in a 4-3 loss. This was expected to be a long series, but most folks felt that Ryan Miller would lead his team to the second round. In the end, they lost the battle of special teams and will now head to the golf course. The Montreal Canadians extended their Series with Washington to a game seven match on Wednesday with a convincing 4-1 victory. Of all the Eastern Conference match-ups, this one appeared to be the one destined for a quick resolution. Steve Stirling at Intent to Blow appears to have a scoop on why the Caps always have to go to game seven. In a series that has been everything that it was expected to be, the Detroit Red Wings will try to make one last stand in the desert when they play the Coyotes in the only game on the schedule tonight at 8 p.m. CDT. on Versus. It is the first game seven of this year's postseason. Chris Wassel adds perspective to the game seven match. The Milwaukee Admirals fell just short in their game seven bid to move to the second round in a 2-1 loss to Chicago last night. Short Shifts has the story. Ryan at the RLD called out Jason Arnott before last night's game. It must have worked as Arnie scored a pair. Dan Hamhuis was still bitter at Monday's morning skate over the Hossa hit. Barry Trotz also had a plan for last night's power play. It worked to an extent since they finally got a power play goal. XM Home Ice recounts their Pred-Hawks predictions. Thanks to Boomer for believing. A little late since the game was last night, but Jeremy at Section 303 had everything you needed for the game including an update to the chant list. Several folks from out of town have asked me about this in the past so here it is. It was great to see all the "We Believe" signs around the arena during warm-ups and throughout the game. Thanks to Jeremy and Codey for doing that (and to Mark Willoughby for 250 copies that he handed out before the game). Jacques Lemaire retired as the Devils coach but will remain in the organization. It is hard to say who might be the replacement at this point. Adrian Dater points the finger at Lou Lamoriello at Versus. Michelle Kenneth adds perspective. The Masterdon Finalists were announced on Monday. Kurtis Foster, Jed Ortmeyer and Jose Theodore were the top three. I'm happy for ex-Pred Jed but I would think Jose is a lock on this one. With four coaching vacancies, Mirtle makes a list of 14 possible candidates that includes Brent Peterson. Intent to Blow has inside news about Hossa'a hit in game five extending Chicago's cup curse. Carlos poses the question "Is it ever OK to root against your favorite team" at VFMS. He also looks at what to offer Kovalchuk at Speak of the Devils. Matt Reitz also has a fresh post this morning paying homage to the real hockey guys in the writing business. From @stevelepore: NBC's coverage of Predators-Blackhawks drew a 1.3 this Saturday, even with last week. Coyotes-Red Wings also drew a 1.3, down from last wk. You wonder how much higher it could have been if it had not been pre-empted for weather by WSMV. Media Week also has good news on NHL ratings for the year. I have to ask... Since Toronto is having trouble with attendance at baseball games, should we do something really snotty and say that Canada doesn't deserve a baseball team? I can't do that because that would be as crappy as what is said about Nashville not deserving a hockey team. If you want your head to hurt from all the information that is actually embedded in a 140 character Tweet then read this article.